The best theatre is that in which the actors are unaware they are part of the act. It is real life, except for the very few manipulators who manipulate the real life players to get the outcome they want. Europe appears to believe that it has pushed Britain into compromises and offered it way less than its (UK’s) expectation, The EU thinks it has preserved the cohesion of the European Union. 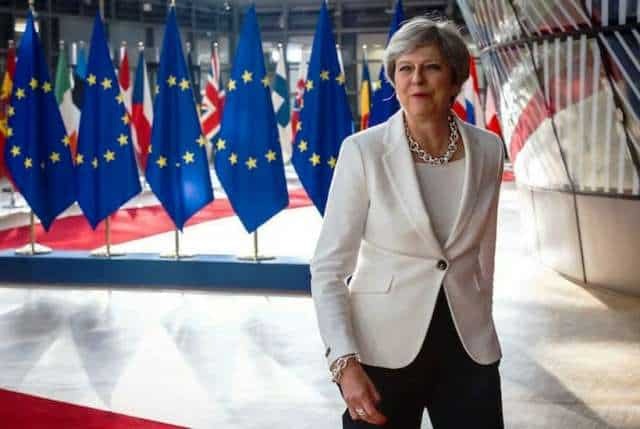 The British Brexit team led by the Prime Minister, Theresa May with Brexit Secretaries as walk on parts, gives the impression that under the circumstances, the deal that is on offer is the best that Britain can get from an intransigent and inflexible Europe. Yet nothing could be further from the truth. This is the deal that the British establishment wanted anyway. The Brexit negotiations were high political war, entrapping the opposition to believe that ‘it has a winning plan’. Of course the EU had a plan, but the plan has been shepherded into a narrow pass where Britain can triumphantly walk away with the prize and fatally wound the adversary. What successive British Governments and the majority of voters wanted was an end to free for all immigration from Europe. The rest was irrelevant to the masses who flocked to the ballot box and ticked for ‘exit’ in 2016. Slogans such as sovereignty, free to trade with the rest of the world without EU rules, make our own laws etc etc do not impact on the ordinary Brit. The average person struggling to make ends meet is hardly going to become prosperous because British Business can ‘freely’ trade with China, India or Africa. His/Her lot remains the same. The British system like many capitalist systems, works in favour of the rich. The middle classes and the poor suffer whether they are in EU or outside. It is the businesses who compete outside Europe who want an economy without EU rules on worker rights, basic protections, protected hours etc. Essentially they want to create a China, India or Bangladesh in UK as a sweatshop economy that goes further than zero hour contracts. There are enough working class Brits and migrants who could be forced to live in even further poverty. The UN Special Rapporteur on Poverty has already given a damning report on poverty in the UK. Instead of concentrating on solutions, the Government has hit back taking the Trumpian approach ‘Fake News’. No doubt Prof Philip Alston started by saying the Government is in denial. The British working classes like the poor in many countries become their own worst enemies by falling prey to propaganda. EU migration was easily controllable and manageable. Britain however chose not to do so. Two former Labour Home Secretaries have written on how this could have been done. On the other hand over the years, successive British Governments, most businesses who trade with EU and the general population have sought to have tariff free access to EU but without European oversight on labour standards. Of the four pillars of EU solidarity, the British public didn’t like free flow of labour, or rather EU citizens while the establishment didn’t like European working hour directives etc. In some ways that is exactly what has been achieved in this withdrawal agreement. United Kingdom will be able to close its borders to uncontrolled migration from Europe after the transition period. The populace will be happy, acquiring further misery unwittingly. Britain will have access to EU markets during the withdrawal agreement. Its hope is that during this period, Europe will see the benefit of friction free trade with United Kingdom or reach comfortable levels of tariffs that will ensure trade between the two. A healthy trade between UK and Europe benefits both. Low tariffs and some degree of seamless flow of trade will benefit both. No doubt the technicalities of enabling this will be found. Eventually when this settles, United Kingdom will have the freedom to strike deals with the rest of the world without EU constraints on standards. No doubt UK will be discreetly engaging in reaching trade deals as officially it won’t be permitted to do so while still in the transition period. With this clever move, UK will have succeeded in breaking two of the four pillars of European integrity, the free movement of people, and jurisdiction of European Court. That United Kingdom has to accept EU rules for this duration is neither here or there. That European Court will have final say in some cases, is also not really a sacrifice except for those emotionally hung up about ‘sovereignty’. Most of the principles of EU laws have been written by British academics and lawyers anyway. After the transition period, EU remit will only apply to trade with EU. The two areas that the deal got stuck at is Northern Ireland and Gibraltar. Northern Ireland is politically sensitive. The Northern Irish loyalists, the Protestant community, want to stay within United Kingdom. A fact no one likes to say in public is that the English are not that keen on Northern Ireland. If they had their way, Northern Ireland would long have been freed from mainland Britain. The Northern Irish loyalists know this well. They know that if the circumstances are right, United Kingdom will shed Northern Ireland. Northern Ireland has been a drain on UK resources for a long time. The current deal paves the way for that time to come. With special arrangements for Northern Ireland to avoid a hard border between Northern Ireland and Ireland, there will inevitably and de-facto be two separate regions in UK with different trade deals and access to Europe. Effectively there will be two different jurisdictional arrangements, hence two different countries. Once that happens the political climate for a referendum to separate from UK will become ripe in Northern Ireland. The DUP, the party of protestant loyalists know that well. They also know that a significant number of protestant Northern Irish will vote to join the Republic of Ireland and separate from United Kingdom. The old animosities are fading away in the population. But for the hardliners, centuries of struggle by loyalists will be lost. England will be smugly satisfied. Europe will have done for it what it could not do by itself. This is also why Jeremy Corbyn is against another referendum in UK on EU membership. His links with and sympathies for Sinn Fein and its cause for northern Ireland to break from UK go back several decades if not most of his political life. A second EU referendum will deliver a vote in favour of staying within Europe thus frustrating the ambition of the Northern Irish republicans. After a bit of an opposition and with some further concessions by May, Labour Party under Corbyn is most likely to vote for the current deal. His claims of being able to achieve a deal which keeps UK in a permanent free trade with Europe are humbug only to keep the large contingent of remainers in his party hoping. Gibraltar is another issue. The UK and Spain will come to some mutually agreeable arrangements. Again that is for another day. Europe on the other hand has been a spectator to theatricals and drama in UK. The Brexiteers are genuine. Their campaign is genuine. Letting them jump up and down worked in favour of May. She could dupe the Europeans into thinking that what she was conceding was capitulation in the eyes of many of her country people. Having exasperated the Europeans for two years with the Brexit bulldogs been given an open season, Britain has managed to make Europeans think that PM May agreeing to some European Court oversight and accepting European rules during withdrawal is a risky sacrifice that she is making against the mightl of the powerful Brexit lobby. The Northern Ireland dilemma does not bother the English but it is being played as an enormous and unsolvable problem. What Europe is losing is far more serious. Its determined stand to keep the four pillars to sustain its integrity is being slowly eroded. By blocking free movement and eventually getting a reasonable deal for trade, Britain will have set an example to other EU countries with nationalist movements pitched against European integration. In the Brexit deal are the seeds of European project coming apart. Theresa May is a brilliant strategist. As usual, the British civil service has risen to the challenge with ingenuity, intrigue and cunning. As more and more British MPs realise the intrigue in the deal, the challenge to May is receding. 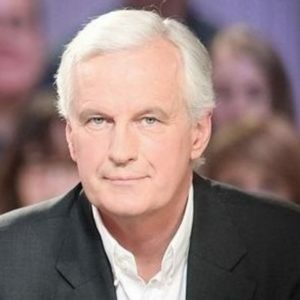 Michel Barnier, the Chief EU negotiator and jean-Claude Juncker, the EU Commission President will have delivered a deal that the British wanted in the first place, outwitted by Oliver Robins, the civil servant masterminding the negotiations and Sir Tim Barrows, the UK’s representative to EU. As usual it will be a bit late when they realise the trap they walked into. 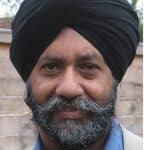 Jasdev this is an interesting take. One few would have thought of. Time will tell how true or effective it was.